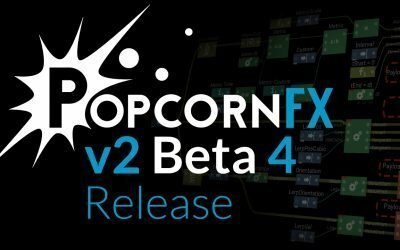 PopcornFX v2 Beta-3 is out! 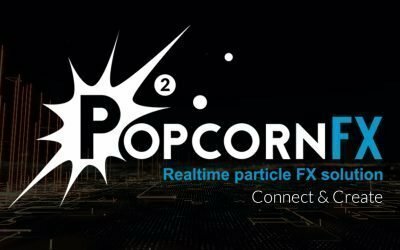 PopcornFX v2.0 SDK & UE4 plugin now available on PS4 & XBox-One, and GPU particles now run on D3D12! Long-awaited feature: custom particle data sent to shaders! 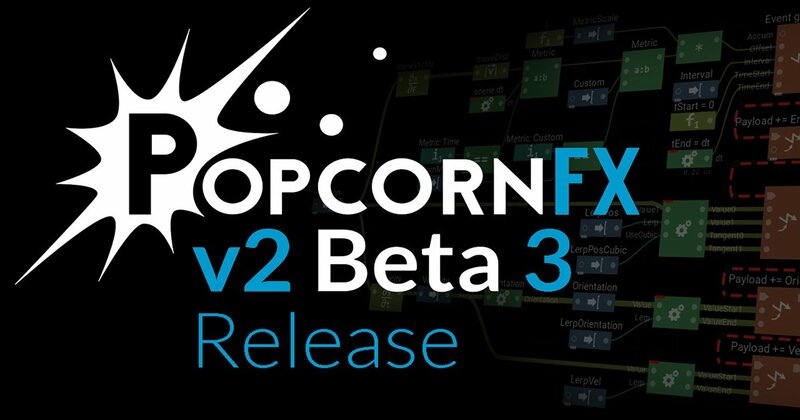 Added ShaderInput0,1,2,3 as default available renderer features, allowing to send custom sim data to shaders without creating custom renderer features. Added UI on crash allowing user to add a comment and a contact mail (CrashReport upload cannot be skipped during beta, as it’s one of the main purposes of the beta :)). Grouping nodes now automatically names input/output pins based on the pin names of the original nodes. Added basic D3D12 GPU particles simulation. Does not yet handle attributes or samplers. ContentBrowser: Fixed a crash when externally modifying an effect file opened in the editor. 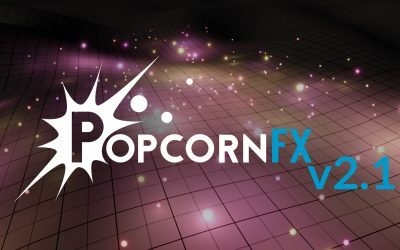 PopcornFXCore library: Fixed Core.pkfx “effect.axisForward” template, was returning “effect.axisSide”. NodalEditor: Fixed nodes grouping for nodes with hidden pins. NodalEditor: Fixed un-clickable area at top of node editor. NodalEditor: Fixed script node creation in the middle of a wire. New script only had input pin. Now correctly has input and output. NodalEditor: Fixed Ctrl+F search which did not search inside annotation contents.